This extraordinary cure carries a very special power to turn bad into good. 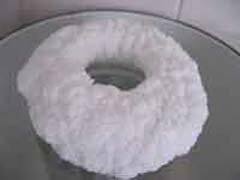 This really is one of the most protective cures you can use and also a powerful enhancer for the #6 star that falls into the east palace in 2019, for an illness, you would place beside your bed, for study, creativity, and business on your desk. For flying star, you would use it with the #2 & #5 to ward off bad luck and for #6 star for legal problems and protection against business competitors. This particular amulet was handmade for us and carefully placed together with red ribbon lucky knot signifying wealth and protection for the building. This stunning bell has been made to exact measurements to ensure accuracy, as in Feng Shui measurements are crucial and also little known. So whilst this magnificent cure and enhancer may seem quite simple in design it is actually extremely potent and a little-known cure and the measurements of the bell itself falls in the “Chai” measurement which is said to bring in good fortune to the owner. 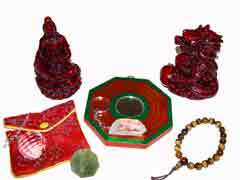 The special arrangement of the Dragon and Phoenix and the chime it creates is actually very nice and can also be used for cleansing Feng Shui cures and enhancers by ringing the bell in each room and close to the cure. The bell is carefully tied with auspicious red ribbon with a Chinese lucky knot at the top. The Dragon and Phoenix are two of the most powerful of the four celestial animals and a perfect match in Feng Shui. The Dragon is “yang” while the Phoenix is “yin”, and they balance each other in creating yin and yang equilibrium to produce a good clean energy. This celestial pair is the symbol of eternal love is the ultimate symbol of happiness. At a different level of Feng Shui, it symbolises that the man and spouse will stay together through thick and thin, and that love and passion will last until the end. They ensure that a newlywed couple will be blessed with patriarch and matriarch blessings, outstanding achievement in life and great fortune and prosperity with many filial offspring’s. 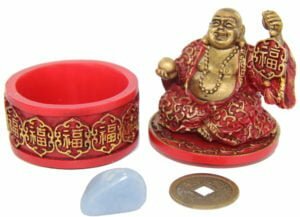 This Feng Shui cure is specially designed to pacify the #5 Yellow Flying Star which brings accidents, financial loss and calamities of all kind, and can also be used to control any other earth energy afflictions like the #2 sickness star. 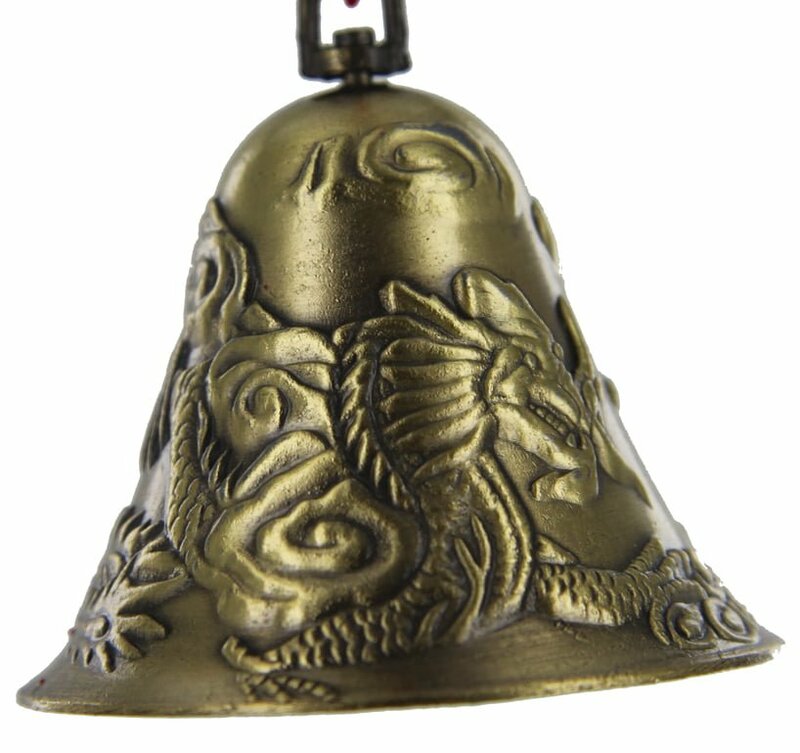 This bell captures the bad energy and transforms it into good energy. This is such a nice traditional cure and enhancer and this year it should be placed in the east in 2019. Made from a nice good quality weighty alloy and looks and feels quality. 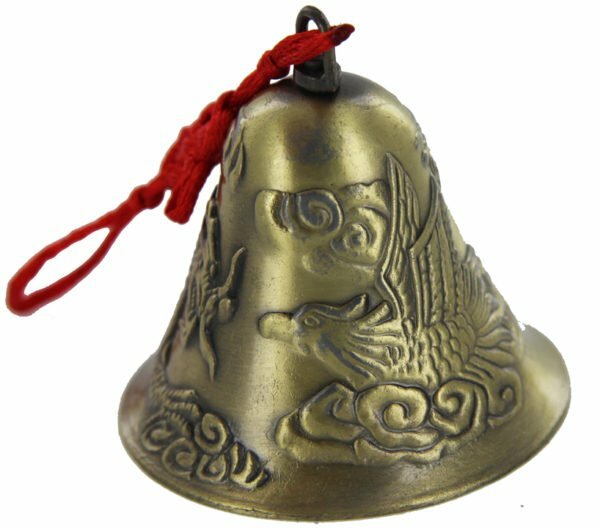 Where do I place the Lung Huang bell in 2019? 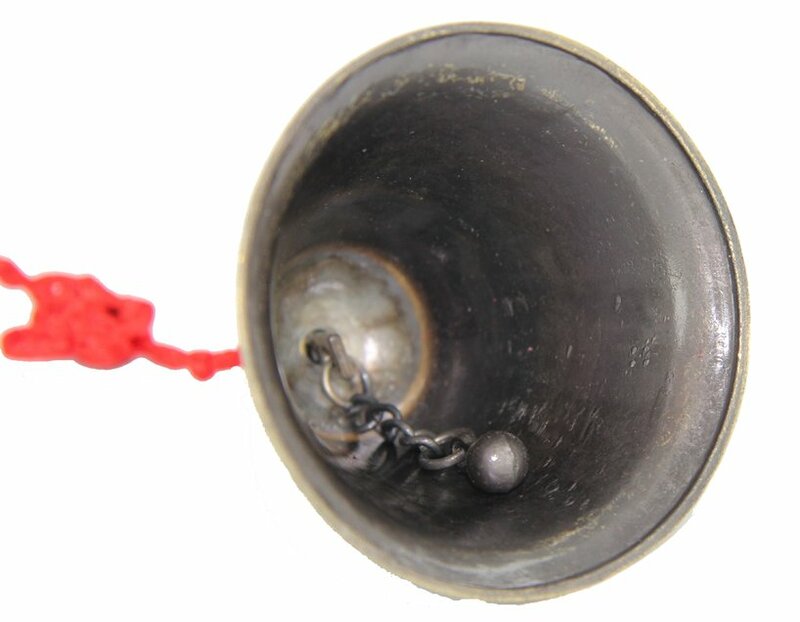 The Lung Huang bell should be placed in the east of your home or office or east area of an important room. How do I display the Lung Huang bell in 2019? 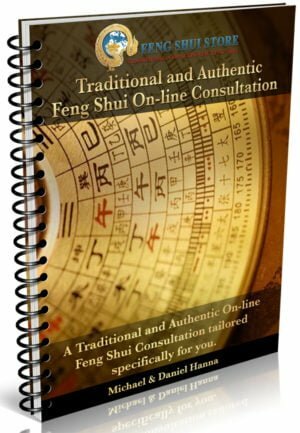 When should I display the Lung Huang bell? Approximate size (140 (L) x 50 (h) mm (5 ½ x 2 inch) (Overall height including tassel) weight is a heavy and perfect 46 grams All our products are cleansed of negative energy and empowered with positive Sheng Ch’I energy.